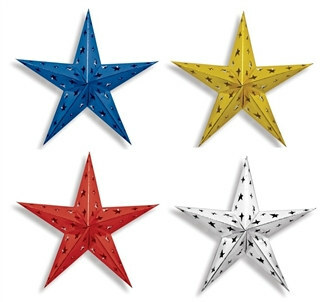 Have fun decorating with the Dimensional Foil Star that will invoke patriotism in your guests as you come together to celebrate America's independence. Each package consists of one 24" foil-coated star. Select the colors that you would like to order from the drop down selection above.